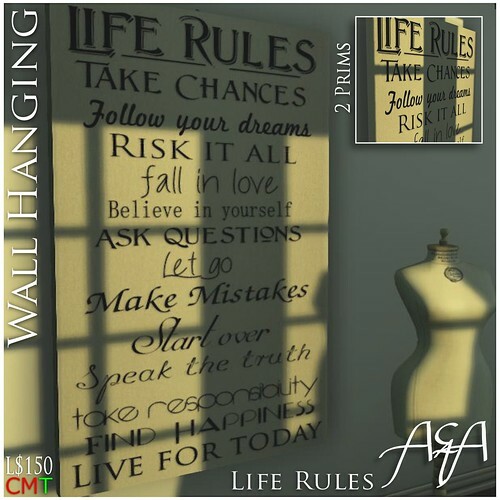 Life Rules W::A&A:: Life Rules Wall Hangingall Hanging, a photo by ::A&A:: Life is your creativity! on Flickr. Inspiration in life is everything. We all have someone or something that has inspired us in one way or another. Everyday given to us is a gift. We are all human and should remember to live by these simple "Life Rules" and enjoy each gift given to us. New in our MainStore and MP!